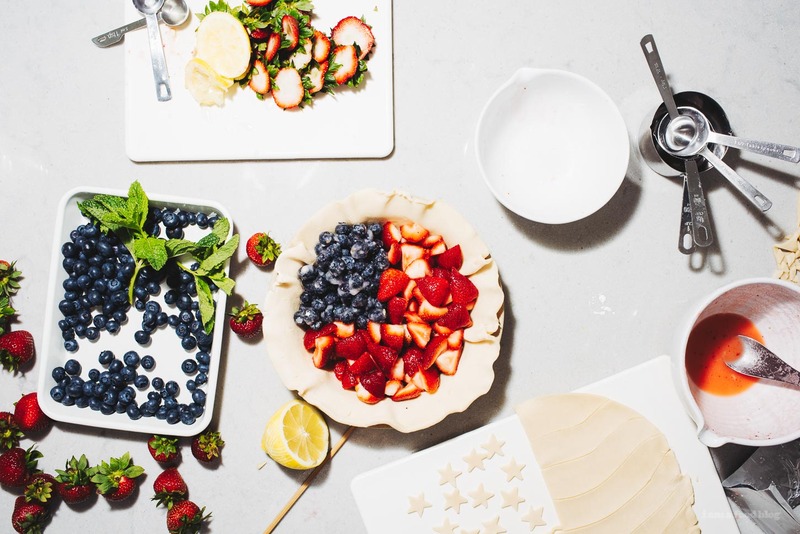 Happy red, white, and blueberry! 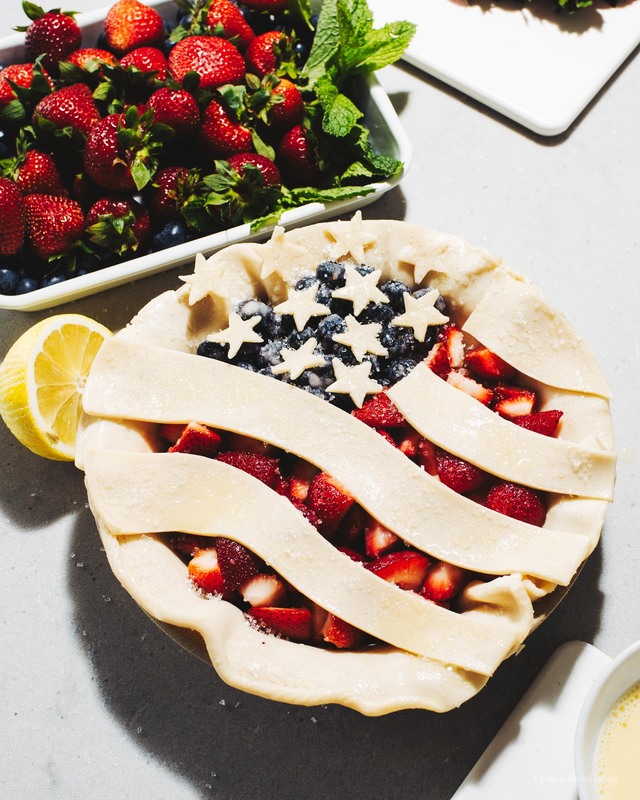 A quick and easy Fourth of July pie with juicy blueberries, sweet strawberries, and a sparkly sanding sugar pie crust. 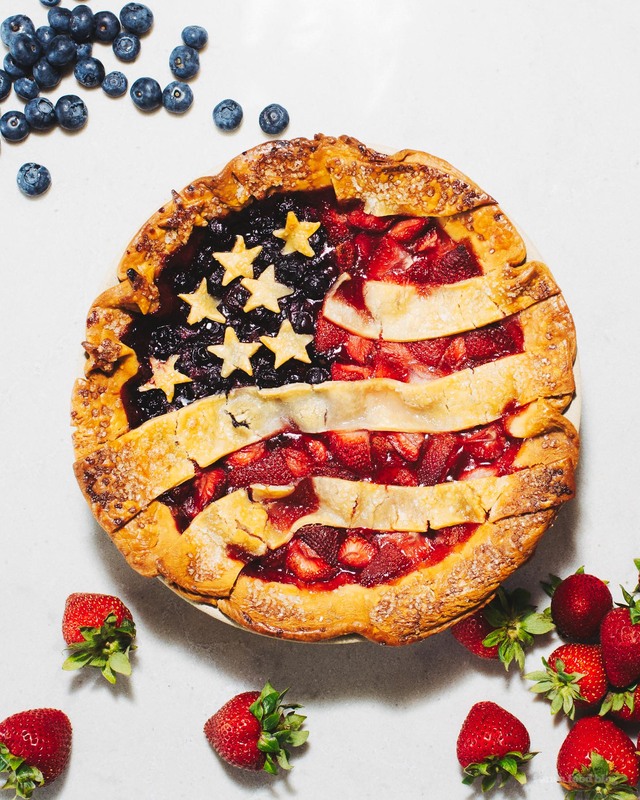 It’s a red, white, and blueberry pie! 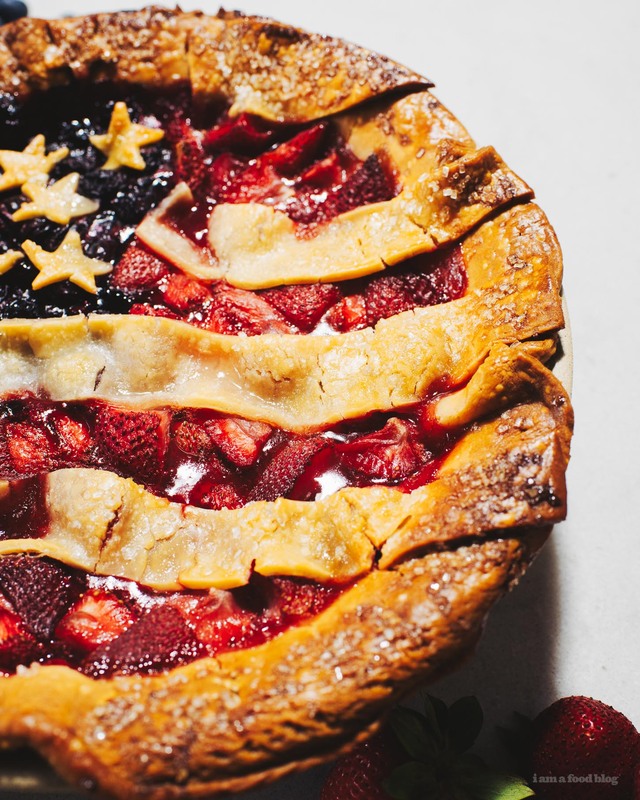 Just quick note to share this American flag pie with you guys and to wish everyone a Happy Fourth! 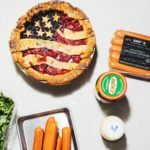 May there be a cookout and lots of pie! I’m actually not very well practiced in the art of the pie – I think this may be my second ever fruit pie. The first was an apple crumble that was a resounding success. But that was years ago. With all the local fruit floating around and a long weekend, I thought it was time to try fruit pie again. But, I have to admit, I didn’t make the pie crust because, baby steps. Also, truth is, I had some store bought pie crust in the fridge that has been there for over a year. I’m no pie expert, so, after walking home with 2 plus pounds of fruit, I did what everyone does in this day and age and I looked on the internet for a berry pie recipe. 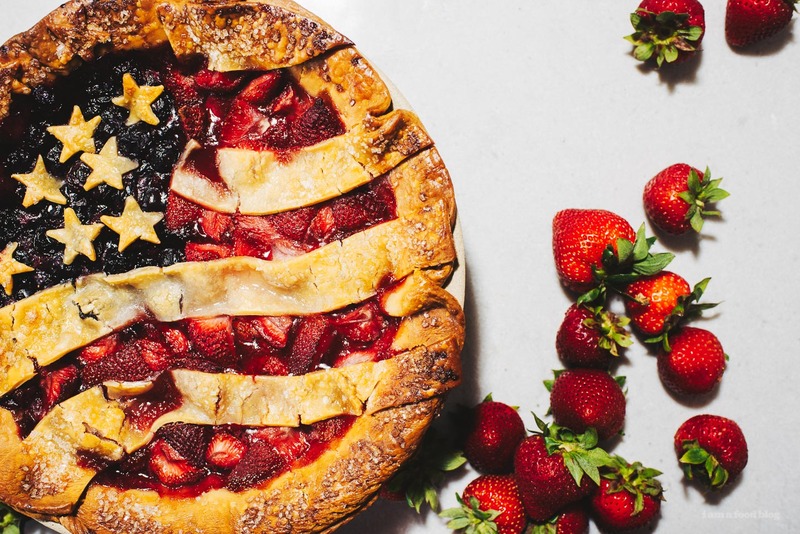 The American flag pies were too cute to resist and here we are! Mike helped with tracing out the strips because I’m not good at wavy things and I took way too long cutting out star shapes with a paring knife but I am so pleased with the results! 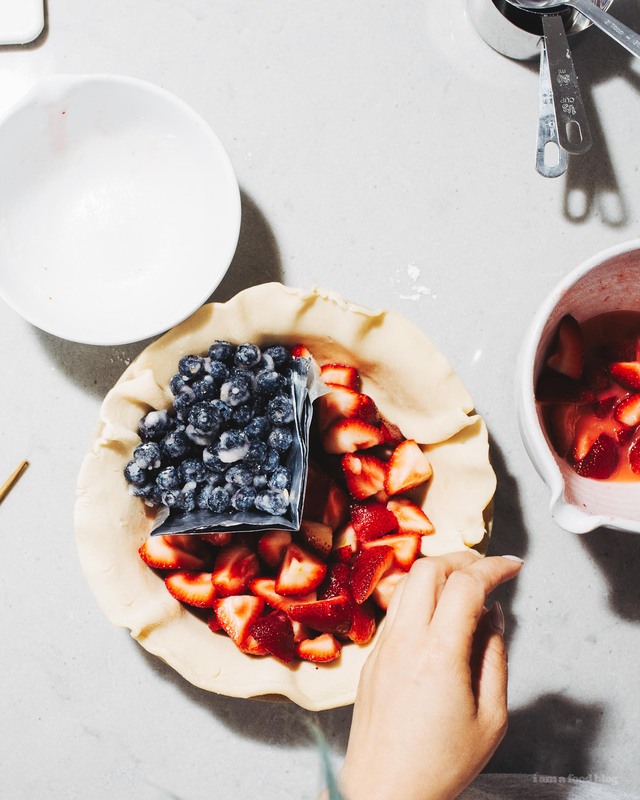 PS – If I was going to make this pie again I’d defintely precook the fruit before hand so that it sets up more solidly. I’d also go the par-baking route so that the pie crust stays crisp. 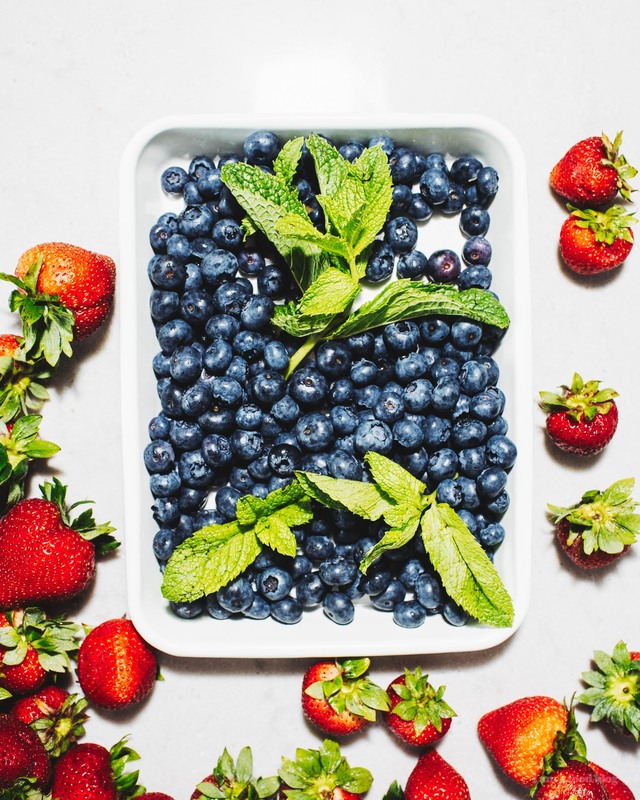 Toss the blueberries together with the rest of the filling ingredients and set aside. Toss the strawberries with the rest of the filling ingredients and set aside. 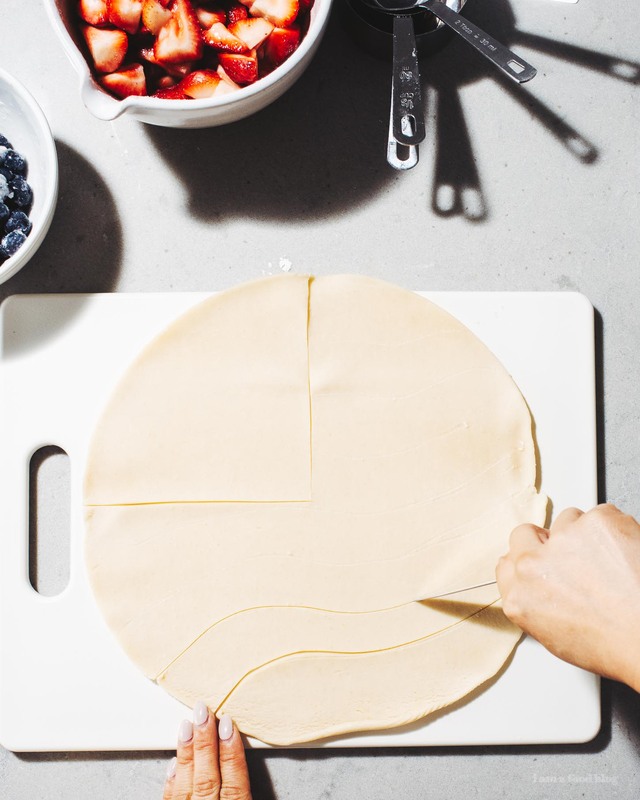 Place the pie crust in your pie pan, crimp the edges, the put in the fridge. 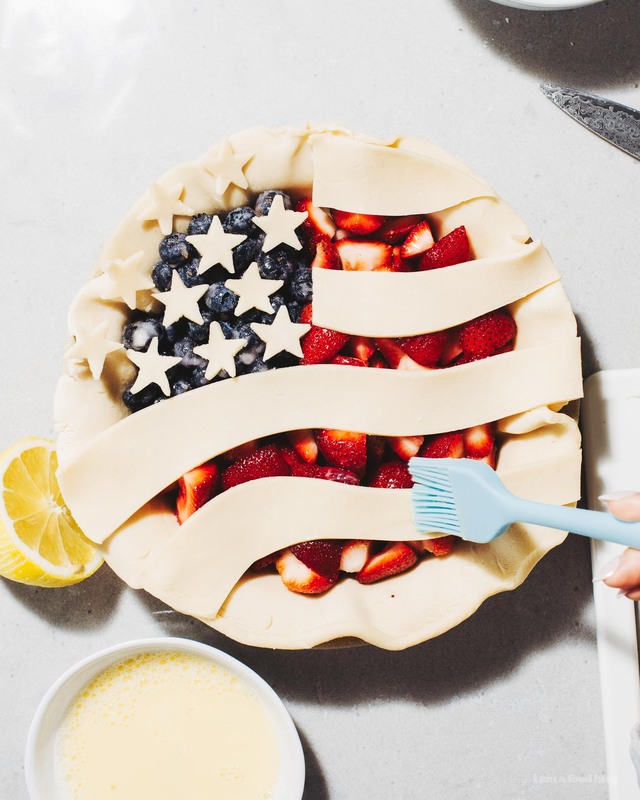 Cut out stars and strips of of the remaining pie crust. Place pieces on a baking sheet and keep cold in the fridge. Make an aluminum foil pie dam by folding over a piece of aluminum foil several times until fairly stiff. I made my piece about 3 inch high strip. Fold in half so that it’s at a 90° angle. 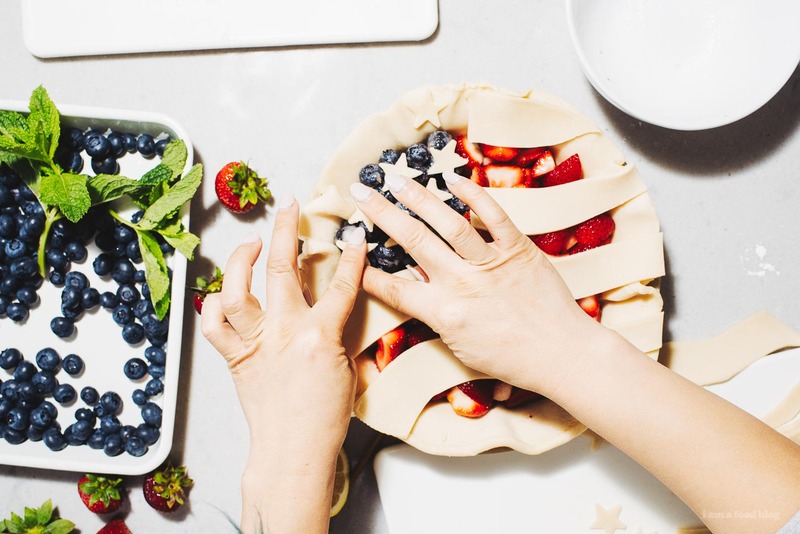 Place the aluminum foil folded strip into the pie and fill the 90° wedge with the blueberry filling and the remaining pie with the strawberry filling. Top with the stars on the blueberry filling and strips on the remaining. Brush the stars and strips with the egg wash and top with sanding sugar. Bake for 20 minutes, turn down to 375°F and bake for 30-35 minutes, until the filling is bubbling and the crust is nicely browned. 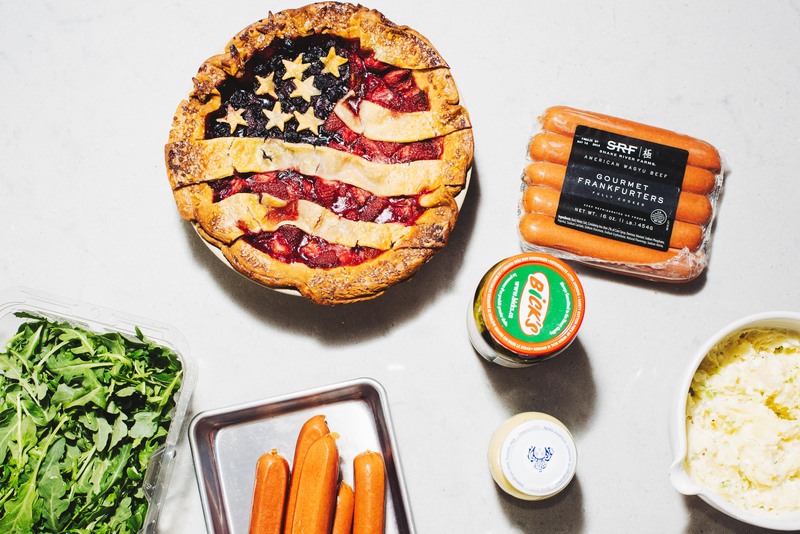 Cover the top with foil if the stars and stripes brown too quickly. Note: I used store-bough pie crust for a super easy pie, but your favorite pie crust recipe will work of course! WOW! You have done a tremendous job in styling the food and capturing those. In love with the concept already! I too would like to try some of these the soonest!